In the months leading up to the Rio Olympics, there was growing awareness that Brazil had not met the water quality goals outlined in their bid, and that athletes might be swimming, sailing, rowing or canoeing in waters contaminated with untreated human sewage. News articles discussed the poor water quality in competition waters, health risks to the athletes and the reasons why the US$ 4 billion pledged to greatly reduce the flow of untreated sewage into Guanabara Bay had not materialized. A common theme of these articles was one of shock: that sewage was being disposed of untreated into the environment, that water quality was so poor and that elite athletes might risk their health to compete in the Olympics. These articles are accurate: There is health risk to Olympics athletes, and having athletes compete in water contaminated with human sewage is reprehensible. In the next few days to weeks, we’ll learn what consequences there might be of this broken pledge. However, what is missing from many, but not all, of the coverage is that the situation in Rio is not only not abnormal, it is common. Currently, about one-third of the global population (2.4 billion people) does not have access to sanitation facilities, such as a latrine or sewerage system, including 946 million people who have no facilities and practice open defecation. Another 2.1 billion urban residents worldwide use improved sanitation facilities that do not safely dispose of human waste, including 1.5 billion who use sewerage systems without treatment. Rio’s water problems also highlight the limitations of reliance on centralized wastewater treatment systems. To meet the needs of the billions of people who suffer the health consequences of untreated human sewage every day, we need new technological innovations and approaches to sanitation provision. Americans might be surprised to learn how recently current-day sewage treatment was introduced. Today’s sewage treatment in the United States has its roots in engineering innovations from the late 19th and early 20th century. During this time, U.S. cities installed water systems that provided piped, treated and safe water supplies to households. This provision is credited with large reductions in infant and child deaths and elimination of epidemic diseases such as cholera and typhoid. With the installation of these water supplies came the need for household wastewater disposal. Sewerage systems, where household wastewater is centrally collected and disposed, were first installed in the early 1900s. By 1940, half of the population with sewers also had some water treatment before disposal. In more rural areas, septic tanks were installed. 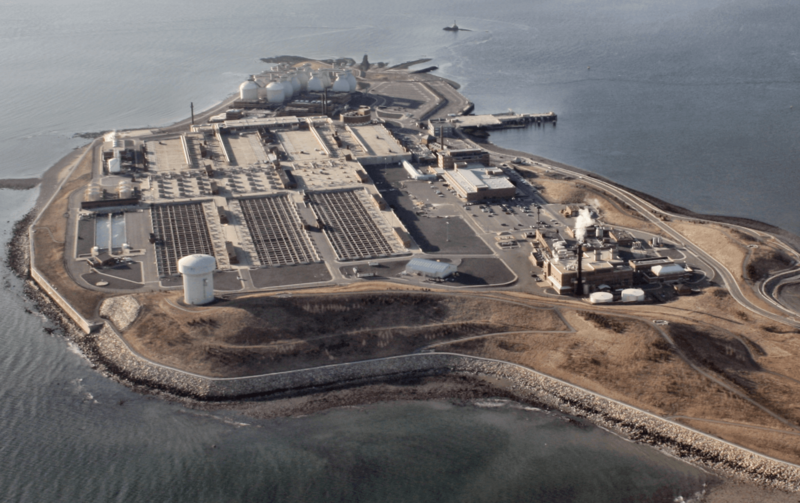 Over time, treatment and environmental disposal improved. The Boston Harbor, for instance, was once known as one of the dirtiest in the U.S.The centerpiece of the $3.8 billion cleanup project is the Deer Islandwastewater treatment plant, which became fully operational in the year 2000, treats wastewater for over 2.5 million people, disposes of water 9.5 miles into the ocean instead of into Boston Harbor and vastly improved Boston Harbor water quality. In the year 2000, in North America, about 90 percent of wastewater was treated before disposal. The United States’ situation, unfortunately, is not the norm. In the year 2000, the percentage of urban wastewater collected through sewerage systems treated before disposal was only 66 percent for Europe, 35 percent for Asia, 14 percent for Latin America and the Caribbean, and less than one percent for Africa. In Rio, only 12 percent of sewerage system wastewater was treated when the city was awarded the Olympics; that number is estimated to be 65 percent today. While this is an impressive improvement, it is short of the pledged 80 percent. The health effects of exposure to human sewage are myriad, including diarrhea, the cause of 760,000 deaths in children per year worldwide, and stunting, which impacts 162 million children under five throughout the world. Due to these health consequences, in 2007, sanitation provision was voted the greatest medical advance since 1840 by readers of the prestigious British Medical Journal. But reversing these health threats will require that countries take a different path than that the U.S. took during the 20th century. The primary challenge of improving the current worldwide sanitation situation is that the three existing sanitation solutions – sewerage systems, septic tanks, and latrines – have limitations. Sewerage systems are expensive to install, and are fixed systems that lack the ability to rapidly expand with population growth; septic tanks require land with appropriate soils; and latrines require space, fill quickly and do not treat waste. Community mobilization strategiesusing education to encourage communities to completely eliminate open defecation by triggering the communities’ desire for collective change. These programs can encourage local development of sanitation solutions, and certify communities as open-defecation free. 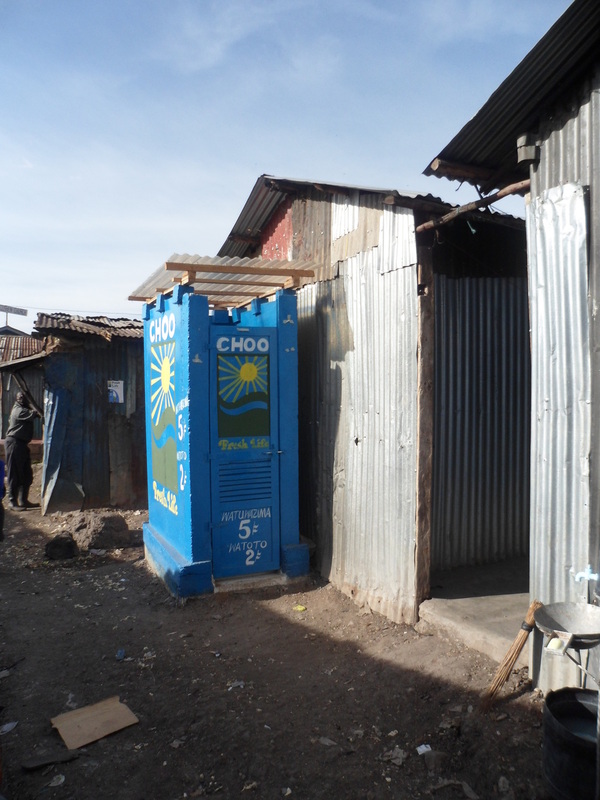 Systems-based approaches where sanitation facilities are built and franchised by local operators that charge a per-use fee or are installed in community institutions. Waste is collected and converted at a centralized facility to organic fertilizer, insect-based animal feed and renewable energy. Social enterprise services where container-based toilets are installed in homes at no cost, and a monthly charge is assessed for waste collection. Waste is then transformed into briquettes and sold as a clean-burning alternative to charcoal. While there are promising advances, many are currently small-scale, and more work is needed to reach the 2.5 billion without access to any improved sanitation facilities and additional 2.1 billion urban residents using improved sanitation facilities that do not safely dispose of human waste. As the Rio Olympics proceed, and we hope for the health and safety of the elite athletes competing in contaminated waters, let us also consider – and work to improve sanitary conditions for – the billions of people worldwide who daily suffer the health consequences of living in an environment contaminated with human waste.